What is the Philemon Series? 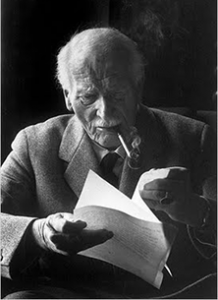 The Philemon Foundation exists to make available the complete works of C. G. Jung in editions that meet the highest standards of scholarship and do justice to the true measure of this major creative thinker. The Philemon Foundation is an expanding group of scholars, board members, and donors who share the mandate to prepare the unpublished works of C. G. Jung (1875-1961), the eminent Swiss psychologist. In distinction to the widely known Collected Works, the complete works include manuscripts, seminars, and correspondence hitherto unpublished, numbering in the tens of thousands of pages. The historical, clinical, and cultural importance of these materials equals the importance of that which has been published to date. The Philemon Foundation works toward completing the publication of C. G. Jung’s work as volumes in the Philemon Series. The Philemon Foundation is a fully independent not-for-profit organization and is not involved in the commercial exploitation of the existing Collected Works of C. G. Jung or with secondary literature on Jung. The foundation receives no royalties from the publications of the Philemon Series and depends entirely on donations to pay its scholars, translators and editors to prepare these works for publication. In the mandate and spirit of the organization, the Philemon Foundation is the successor to the Bollingen Foundation, the foundation that originally made possible the publication of Jung’s Collected Works (which is the cornerstone of the Bollingen Series). In this new era, the Philemon Foundation is uniquely positioned with the support and contractual collaboration of the Stiftung der Werke von C. G. Jung, (the Foundation of the Works of C. G. Jung), the charitable successor to the Association of the Heirs of C. G. Jung. The Stiftung authorizes the Philemon Foundation to raise funds to edit and prepare for publication unpublished works of C. G. Jung and has entrusted it with the task of bringing these works to the widest reading public.